The new face of downtown Manhattan. Behind these two skyscrapers, prior to September 11, 2001, stood the World Trade Center. The World Trade Center (Twin Towers) towered over these buildings and were a glorious symbol of the United States of America. 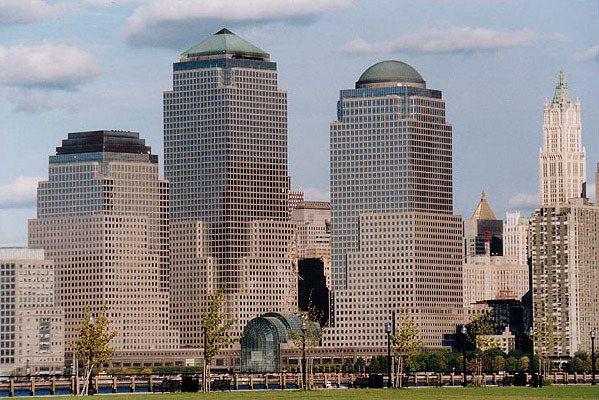 October 6, 2001 - The new face of downtown Manhattan. Behind these two skyscrapers, prior to September 11, 2001, stood the World Trade Center. The World Trade Center (Twin Towers) towered over these buildings and were a glorious symbol of the United States of America.